Just last week we heard rumors that Samsung Galaxy S10 is expected to feature an ultrasonic in-display fingerprint sensor. And much to our surprise, the Korean giant has now been awarded a patent for the said technology, with an in-display biometric sensor that uses ultrasonic technology. 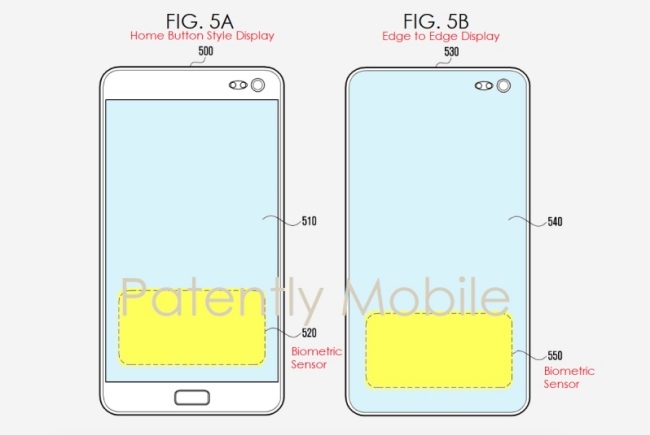 First reported by Patently Mobile, the patent application from Samsung has revealed that it is wary of the biometric technologies gaining prominence in the current market. 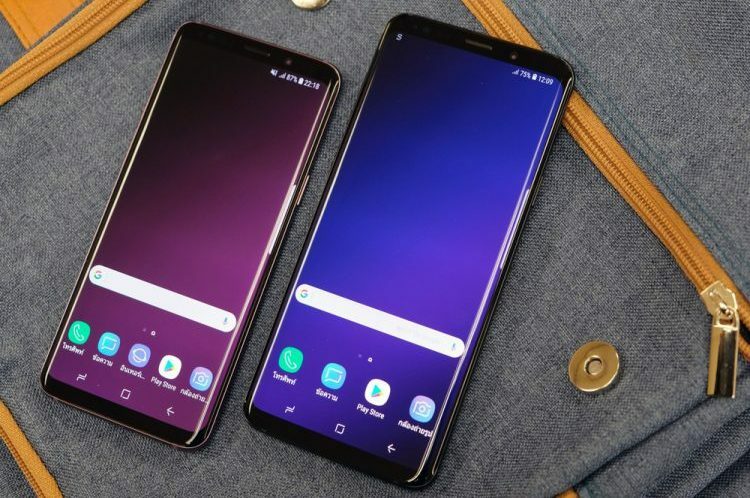 The Korean giant believes that they are open to error, therefore, it is working on its own ultrasonic technology that could be featured in next year’s Galaxy S10 series. The patent application includes the block diagram shown above and it helps shed light on the working of in-display biometric technology. It implies that the #410 biometric sensor may include an optical image sensor, an ultrasonic transmission/reception module, or an electrostatic electrode pattern. It could use infrared (IR) light to illuminate a user’s finger, which will then detect the reflected light. As you can see in the reference figures above, Samsung is developing this tech not just for its high-end devices (Fig 5B on the right) but also mid-range phones (Fig 5A on the left) it heavily markets in the developing countries. Both of them feature an in-display fingerprint sensor, which is the basic idea, but the company notes that its tech isn’t restricted to being used under the screen. Samsung says that its ultrasonic-based fingerprint scanning tech can be used anywhere on the phone, be it on the side, back panel, or within a button. Samsung had filed for this patent at the beginning of this year and it is now that the U.S. Patent Office has published the same. And while all this sounds quite exciting and secure, at least from Samsung’s perspective, but we will have to wait until Q1 2019 to get a taste of this technology. So, are you excited for what the future of Galaxy S10 may behold? Let us know your thoughts in the comments below.